Pre-authorizations. Calling insurance. Customer confusion. Unused health benefits. These are some of the things that Patch’s new mobile point-of-sale experience will help resolve for healthcare professionals. 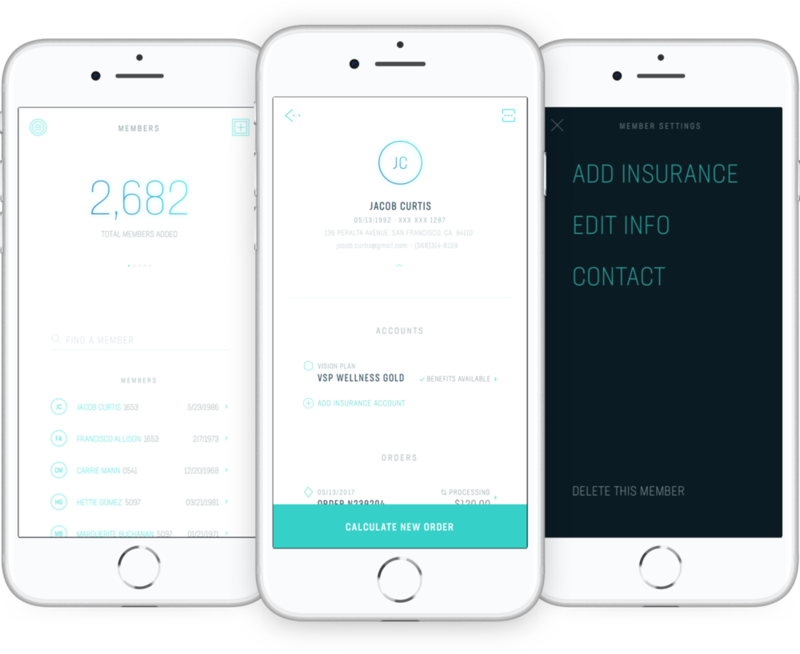 With the application, users will be able to access a patient’s insurance plan and benefits in real-time, apply those benefits toward services and materials immediately at the point-of-sale, and pay the difference using a growing number of payment methods all the while never once talking to an insurance company or having to deal with filing a claim. Creating a revenue dashboard provides the healthcare practitioner a snapshot at how “well” their practice is doing at capturing patients and processing transactions for their services. Global navigation gives the user the ability to jump to any section of the app easily, keeping the app more shallow and user-friendly. One of the key metrics for practitioners is being able to see how many patients they have serviced. We have the data to show them how many have gone through the patch system. With each member, the user is able to connect multiple account types from multiple insurance plans to bank accounts and credit accounts (HSA/FSA) all in one consolidated presence to facilitate seamless transaction processing. Additionally, each member profile is complete with their order history and PII creating an auto-claim submission function at the end of a transaction. Practitioners are able to track and follow up on all orders (transactions) as well as track any associated claims with the order in the order details view. Creating an order is not unlike an eCommerce checkout experience, a difference being that the practitioner is doing the “shopping” for the patient. Because the inventory is mapped to ICD-10 codes and CPT codes, the user only needs to select the products or services being purchased by the patient. After an optimized checkout (multiple payment method options, splitting payments, extending payment terms, etc.) the insurance claim (if applicable) will be automatically created and ready for submission to the insurance carrier.